The following flyers have been placed all over New York City. Including the homes of Rebecca Vilkomerson, Executive Director, Jewish Voice for Peace (JVP), and Hatem Bazian, Chairman of American Muslims for Palestine (AMP), leading to this attack by Vilkomerson, JVP and AMP. Note how they characterize the flyers as “Islamophobic” because they “attempt to link Islam with terrorism” – even though nothing in the flyers actually suggests this. Instead, let’s look at the accusations in the flyer to see if they are founded. According to the ADL – which incidentally comes out hard against “Islamophobia” – AMP is not only affiliated with terrorists, but is also antisemitic. 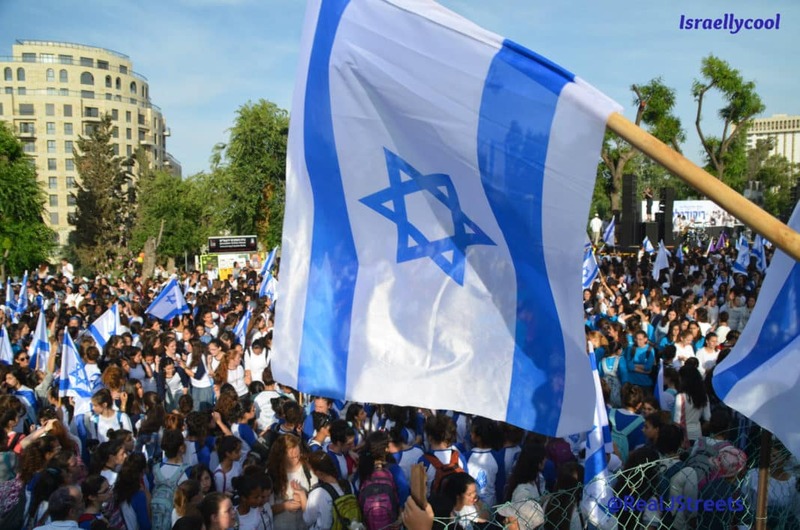 To mark the start of the 2014-2015 academic year, for example, AMP Chairman and University of California, Berkeley professor Hatem Bazian, announced and promoted an “International Day of Action on College Campuses” to be held on September 23, the day before Rosh Hashana, the Jewish New Year. AMP has its organizational roots in the Islamic Association of Palestine (IAP), an anti-Semitic group that served as the main propaganda arm for Hamas in the United States until it was dissolved in 2004. Since its creation in 2005, AMP continues to work closely with some former IAP leaders who currently hold positions as AMP board members. The AMP board includes at least two members, Salah Sarsour and Osama Abu Irshaid, with ties to the Holy Land Foundation (HLF), whose assets were frozen by the U.S. Treasury in 2001 after the discovery that its money was being funneled to Hamas. In July 2013, AMP National Campus Coordinator Taher Herzallah praised Israeli casualties of Hamas attacks. He posted photos of injured Israeli soldiers on his Facebook and wrote underneath, “The most beautiful site in my eyes.” The post was removed after it got attention. In April 2014, AMP hosted a fundraiser dinner praising Rasmieh Odeh, a convicted terrorist directly responsible for two deaths in an Israeli grocery store bombing, who was later convicted in November 2014 of immigration fraud by an American federal court. The website Hamas on Campus has more on AMP’s support for terrorism. AMP Chairman Hatem Bazian did indeed call for a violent uprising in America. There’s even video of it. Bazian has been involved in groups connected to U.S.-designated terrorist organizations. While studying at UC-Berkeley, Bazian headed the Muslim Student Association (MSA), a student group originally founded and funded at Berkeley by the Muslim Brotherhood. Bazian spoke at a KindHearts fundraising event entitled ‘Palestinians in Agony!’ in June 2004. In 2006, KindHearts’ assets were frozen by the U.S. Department of Treasury for allegedly transmitting money to terrorist organizations. According to the Treasury, KindHearts was trying to replace the Holy Land Foundation for Relief and Development, the main fundraising division of Hamas. Bazian spreads dangerous anti-Semitic messages on campuses. Bazian blocked the approval of a Jewish student to the Student Judicial Council at SFSU in the 1990s using the reasoning that the student supported the Jewish State and was therefore racist. It is no secret that JVP heralds terrorists and those who support terrorism as heroes. They just recently hosted and praised terrorist Rasmea Odeh. JVP are also one of the organizations endorsing the campaign to free arch terrorist Ahmad Sa’adat. In other words, the content of the flyers is true and accurate. As for Vilkomerson’s suggestion these flyers are somehow cowardly, this is coming from the executive director of the organization that not long ago impersonated the New York Times to demonize Israel.